Around fifty members and guests of the Comunidad gathered on Friday December 7th at the synagogue Social Center to light the large shul menorah, together with many smaller menorahs brought along by others.Mario Periera recited the blessings and the Hanerot Halalu at the lighting of the fourth candle and everyone joined in the singing of Moaz Tzur. There followed the lighting of the Shabbat Candles, after which we all made our way into the synagogue for the Shabbat Service. 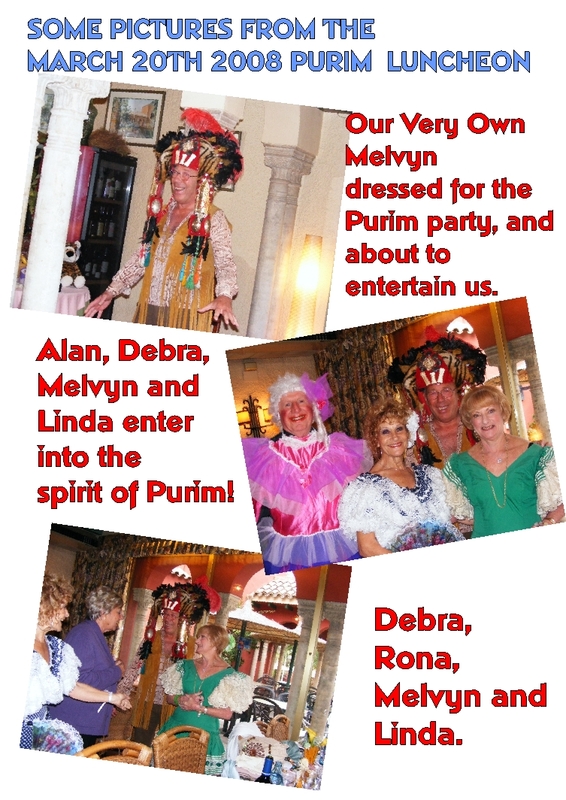 This was followed by a special Kiddush Table on which was heaped all kinds of mouth watering foods, many of which were of the traditional variety such as lutkas, fried fish, and doughnuts. Hunukkah Gelt, Dreidals, and Festive Decorations abounded, and song sheets provided us with words for the Hunukkah “Sing Along”. 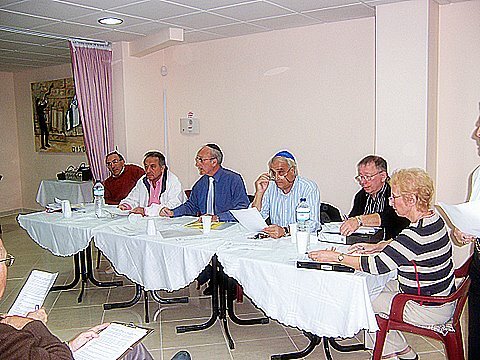 The Comunidad Israelita de Alicante in Benidorm prayed, communed, and enjoyed. And it mattered not that the shul building was a bit small, inconvenient, no air-conditioning, and with a tiny kitchen!! Jews throughout the world, and through the aeons of time, have congregated in buildings and places far less hospitable than this. 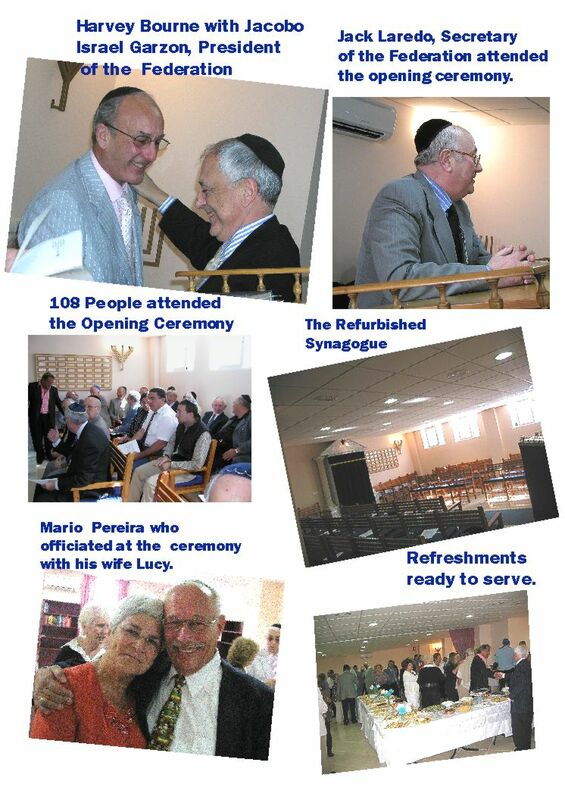 But last year, it was decreed by Committee, that the time had come, to re-build the building, to create more space, to knock down walls, build a proper kitchen, (of course), comfortable toilets, and most importantly, a bright and spacious synagogue with a fantastic function area. A member of the Congregation was overheard asking Mario if there was a suitable blessing for Watford Football Club, playing later on in the quarter finals of the FA Cup. Looking straight at the President, whose Yarmulka proudly displays an Arsenal badge, Mario replied that he didnÃ¢â‚¬â„¢t think there was a prayer for that team either, but he would do his best. Something good must have come of mentioning WFC during this happy and holy event, they won 1-0 and are now in the semi finals!! 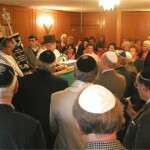 New Sefer Torah Arrives in Benidorm Synagogue. 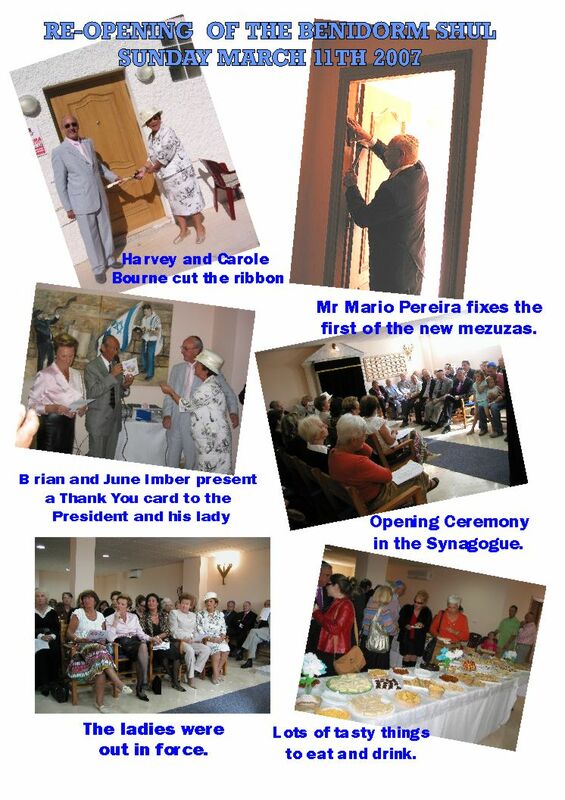 On February 12th 2006, the Communidad Israelita de Alicante, (The Benidorm Synagogue) recieved with great joy and rejoicing a Sefer Torah from London, England. 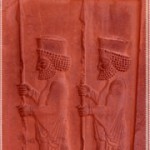 It was given on permanent loan from the Holland park Spanish & Portuguese Synagogue, London. It is believed to be about 100 years old and originally from Spain, and so felt very much like the homecoming of a very dear friend. It was most carefully transported by Mr & Mrs Childs of London, and recieved on behalf of the Community by the President, Mr Harvey Bourne. After a very emotional and moving ceremony, conducted by Mr Mario Pereira, in a full to capacity Synagogue, the Sefer Torah was placed in the Ark. A celebration party was then held in the premises next door, which the Community has just purchased, and which will, after refurbishments plans are fullfilled, become the focal point for future social activities. 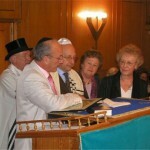 Shows left to right: Mario Pereira, (officiating), Harvey Bourne, (President), Irving Childs, (who transported the Sefer Torah from England), Mrs Helena Winestone, (committe member), and Mrs Joya Childs. This picture shows the presentation to Mr & Mrs Childs of a certificate from the JNF recording the planting of trees in their name in Israel by our Community as a token of apreciation for the important part they played in the acquisition of the Sefer Torah. General view of the Synagogue Ceremony February 12th 2006.